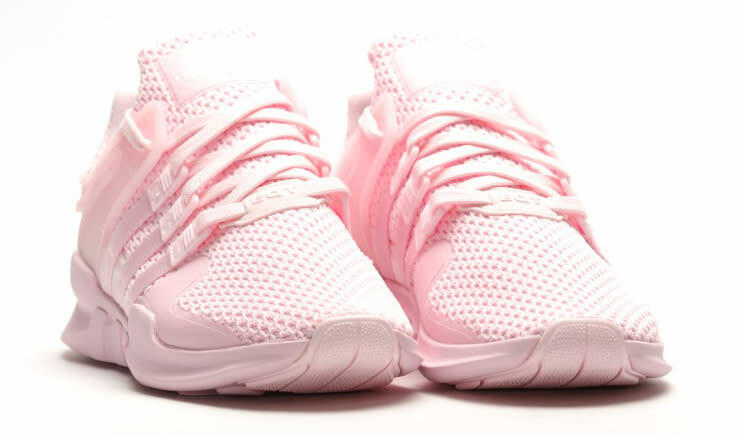 A tonal pink colorway for the EQT update. If there ever was a sneaker made for Instagram, the adidas EQT Support ADV was it. The shoe's very shape is pandering, its angle tuned exactly to match the angle that European sneakerheads point their toes at in social media shots. 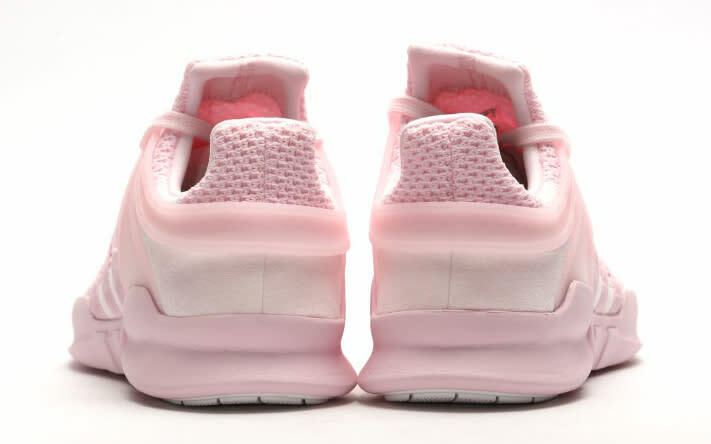 The already successful shoe is back here in a pink colorway. It's a subtle pink though, labeled as "clear pink" and just barely shading the shoe. This edition is one of the more colorful pairs yet for a silhouette that's otherwise been rather focused on black and white. As is so often the case, this sneaker has touched down in Europe before releasing in the U.S. Sizes of this adidas Originals silo are available now at Afew in Germany.